Arkhangelsk Governor Igor Orlov chairs this week’s meeting in the regional Council on patriotic education. «Today we are going to talk seriously about youth and patriotism, Orlov underlined as he opened the Council meeting in the north Russian region of Arkhangelsk. 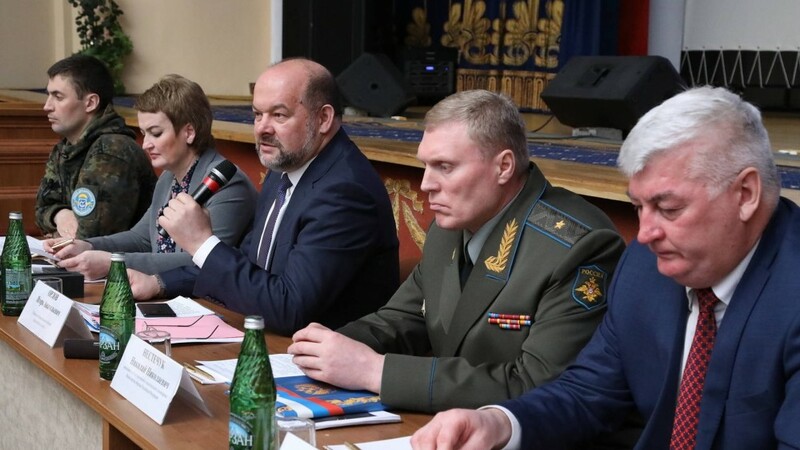 The meeting took place in Mirny, the closed military town located near space launch center of Plesetsk and local authorities showed off their military-patriotic initiatives aimed at children and young people. Over the last years, numerous new branch units of military youth organisation Yunarmiya (Youth Army) have been opened in the region. More than 4,000 children and youth from the region are now members, regional authorities say. 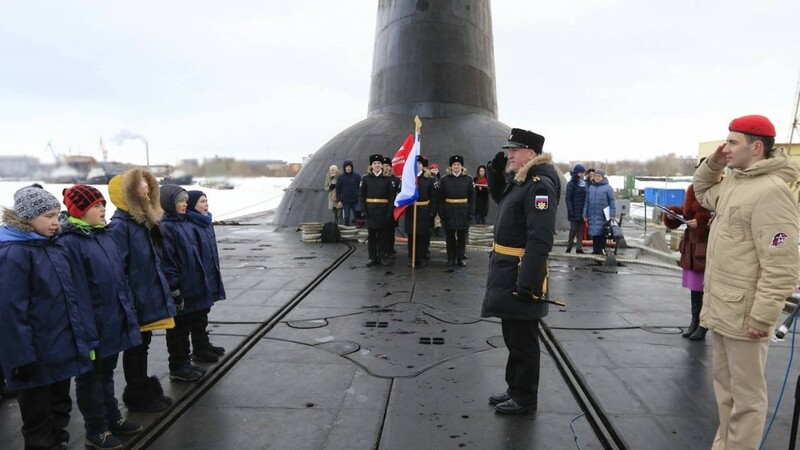 The last 26 members were enrolled during a ceremony onboard nuclear-powered submarine «Dmitry Donskoy» this week. The Yunarmiya is an integrated part of the Russian Armed Forces, and representatives of the military now regular pay visits to schools. During the visit to Mirny, 16-year old Daniil described to Governor Orlov how military men use to come to his school to teach bravery, Russian history and history of weapons. According to the young boy, he himself now intends to join the Armed Forces. «For me, a patriot means a person who loves his country, knows its history and is ready to protect his motherland,» he told Orlov. «We are simply committed to support them, and here are no easy solutions,» Orlov said. The Yunarmiya was established in 2015 on an initiative from Minister of Defense Sergey Shoigu. It has since grown to include as many as 360,000 children and youth. The youngest are eight years old, the movement says on its website. However, photos seem to depict children even smaller. The Russian Armed Forces in 2018 established a new military-political department that is to promote a patriotic spirit in the forces. The department has been active also with recruitment of more kids to the Yunarmiya. In early 2019, the Russian Military was accused of trying to force children and youth to join the movement. A leaked document signed by acting head of the Eastern Military District’s military-patriotic work makes clear that children of officers are ‘forced’ to join Youth Army. «The absence of officers’ children in the rows of the Yunarmiya movement is to be seen as a lack of understanding among servicemen of the basis of state policy in the field of patriotic upbringing of citizens,» the document reads.